It’s a familiar refrain at this time of year among those who like to grow their own veg… “Would you like some courgettes?” I have been lucky this year and I too can join this ritual with a bumper crop! So what to do with this glut of courgettes? Well, courgettes are one of my favourite vegetables. 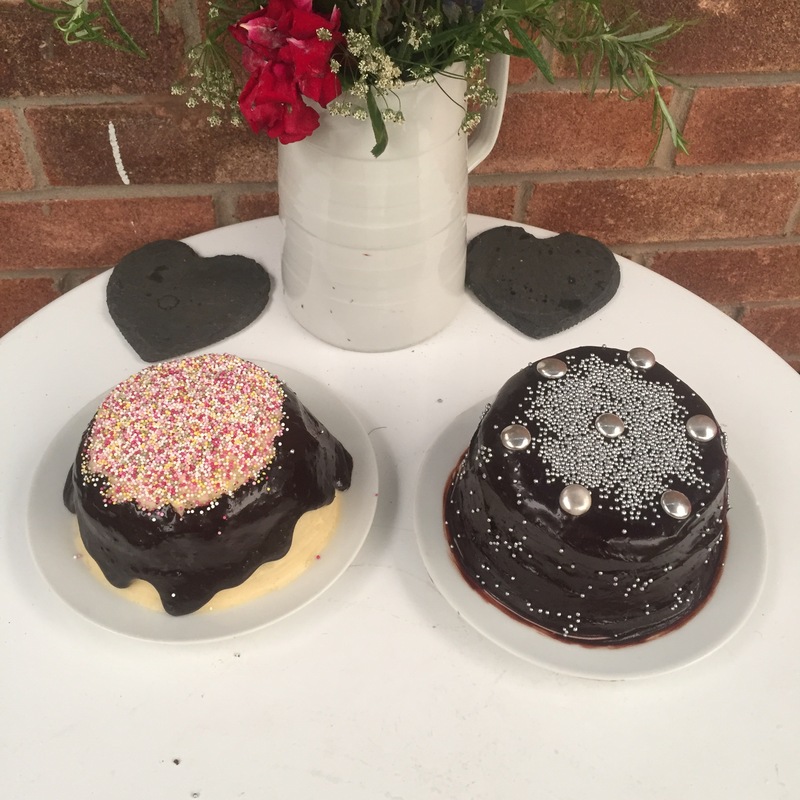 So it was only natural that eventually I would put them in a cake! 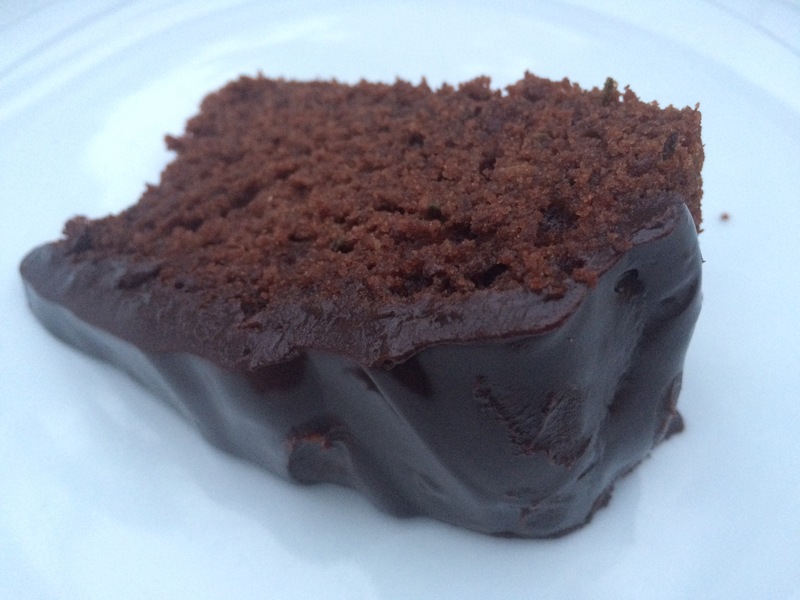 This Spiced Chocolate Courgette Cake is deliciously, deeply chocolaty and ever so moist! 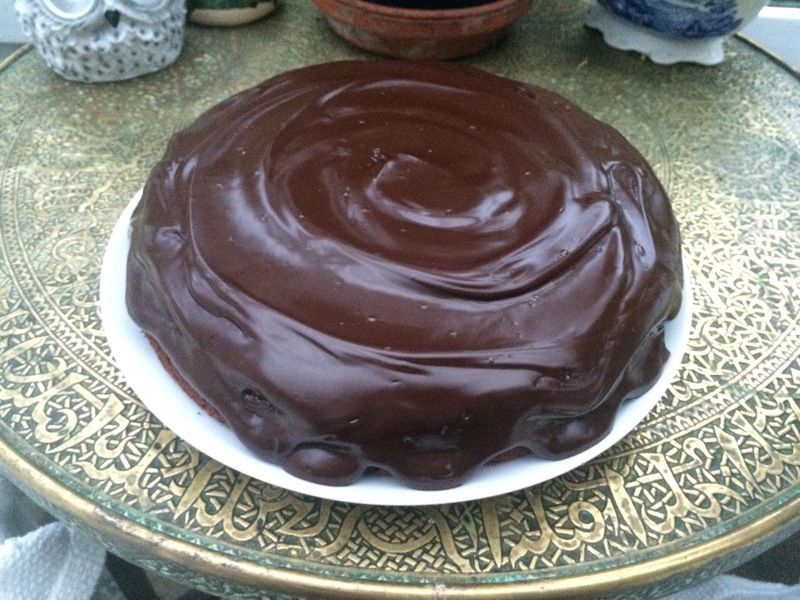 The spices add a different dimension to this chocolate cake. 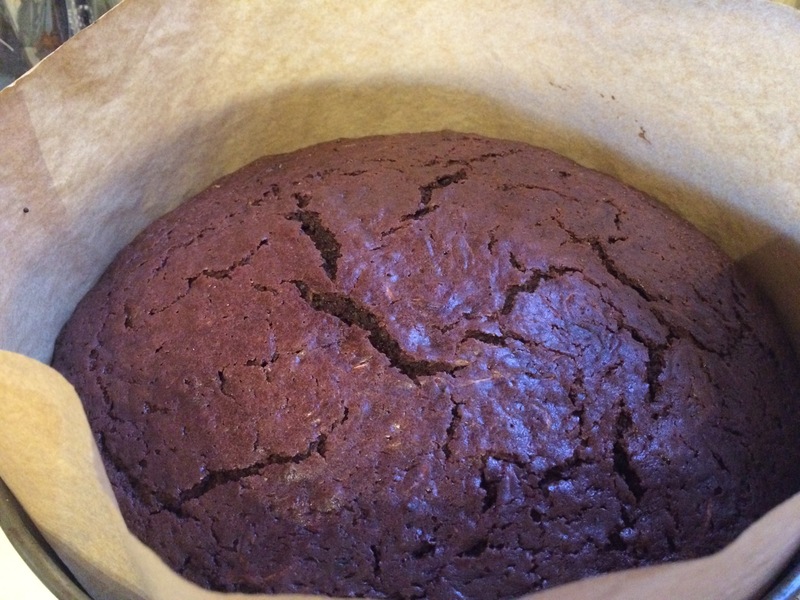 They’re not overpowering but instead add a warmth and depth to this rich chocolate cake. 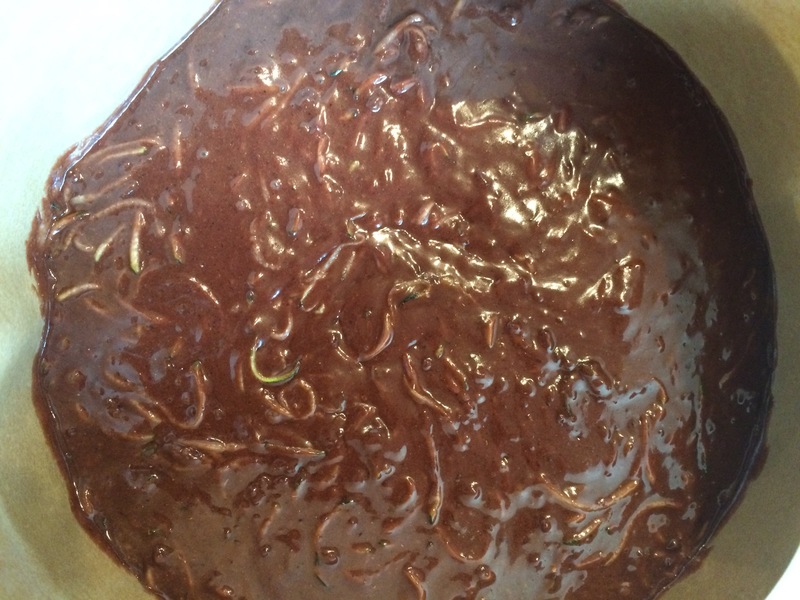 I was inspired by Green & Black’s Maya Gold Chocolate, one of my favourites as the spices are just so good there! The icing is beautifully smooth and silky and the hint of orange complements with spiced wonderfully. 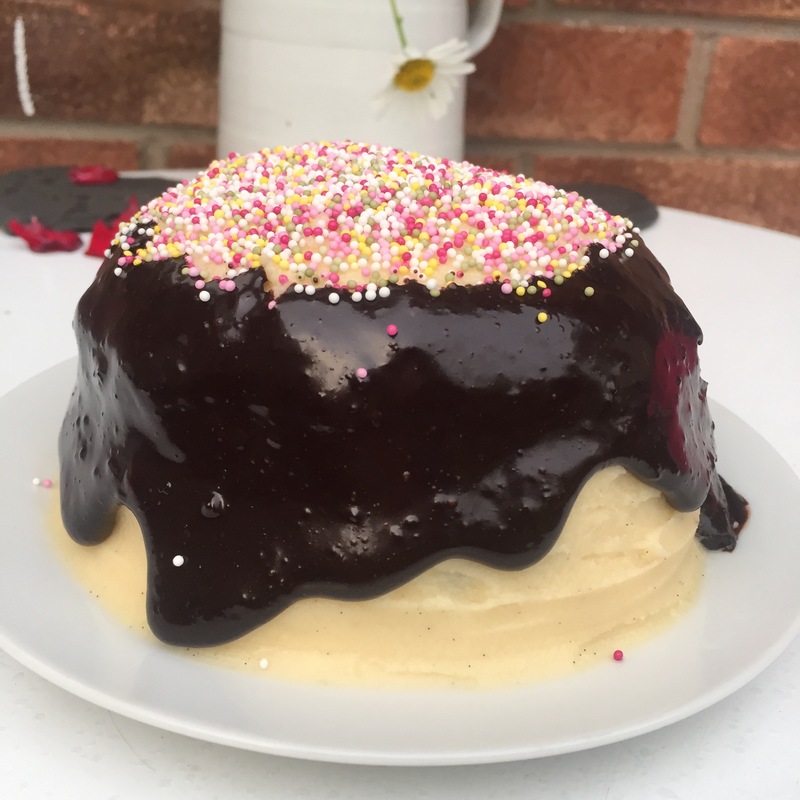 I cut back on the amount of sugar in this recipe too as I just don’t think you need as much sugar as we’re used to putting in cakes. Overall I feel happy calling this cake almost healthy! It’s probably one of your five a day anyway! While you can definitely see the courgette in the uncooked mixture by the time it is cooked it has vanished like magic! I honestly don’t think that anyone would know it was there if you didn’t tell them. The crumb isn’t too dense either even though the cake is gloriously moist but without ever approaching brownie territory. Heat the oven to gas mark 4/180C and grease and line a 23cm springform cake tin. Put your courgettes in a sieve or colander and gently press to squeeze out some excess moisture. Place the courgettes in a large jug, you need to have about 500ml of them. If your jug is big enough (I use a 1l pyrex jug) then add the oil, sugar, eggs and vanilla straight to this. Give it all a good mix. In a large mixing bowl add your flour, cocoa powder and mixed spice and mix it all together. Add the wet ingredients to the dry and stir thoroughly until all the pockets of flour have disappeared. Pour the mixture into the prepared tin and bake in the middle of the oven for 45-60 minutes. This cooking time will depend very much on the moisture content of your courgettes. Check it at intervals, it’s done when there is no wobble left and a skewer inserted into the centre of the cake comes out clean. To make the icing melt your chocolate and butter together in a bowl. I use a microwave but you could do it in a bowl over a pan of boiling water if you prefer. 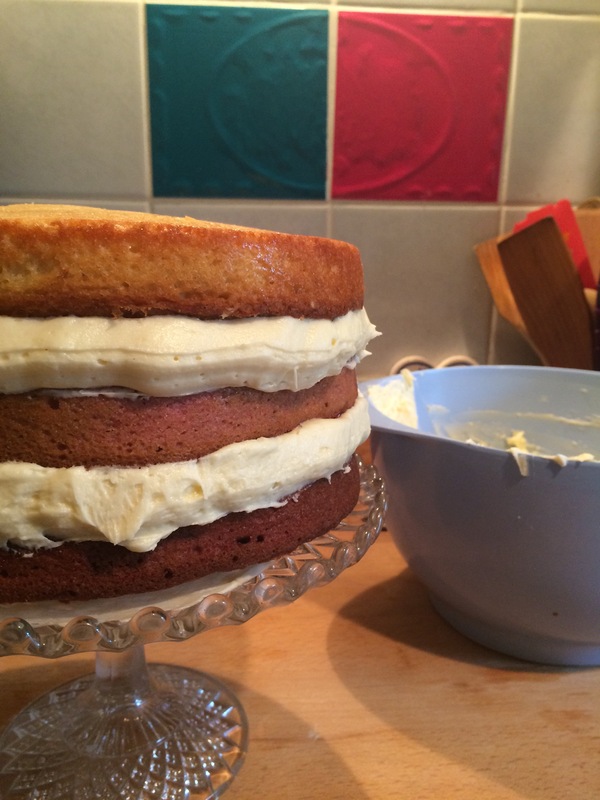 Add the orange juice and give it all a really good beating to combine everything together into a smooth icing. When the cake is cool remove it from the tin and unpeel the paper. 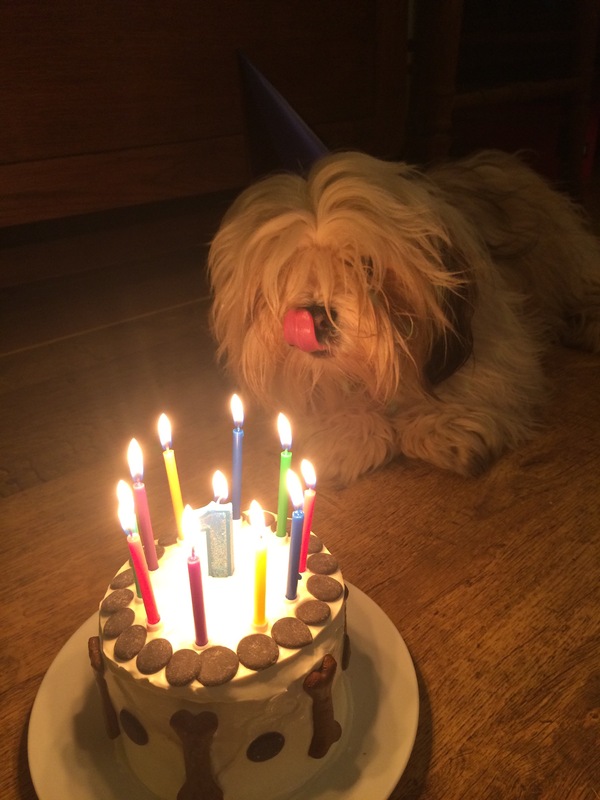 Spread the icing evenly over the surface of your cake and enjoy! 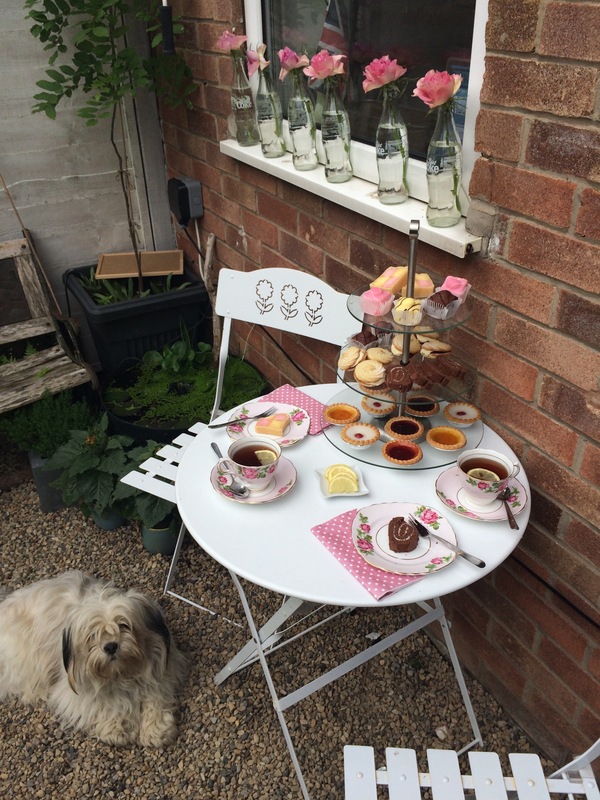 I have a real love for Afternoon Tea. 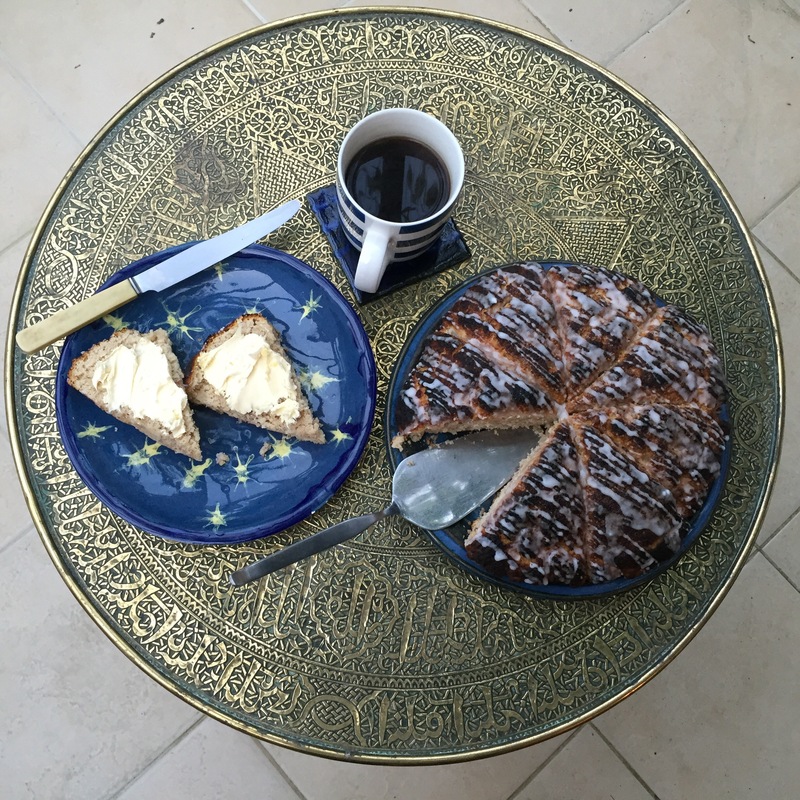 To my mind there’s something deliciously civilised about sitting down with a friend to eat cake, drink tea and just chat about the world. The ritual of setting out the cakes and making tea is so very soothing. It sets aside this time for you and your considerations. The world around you can wait. 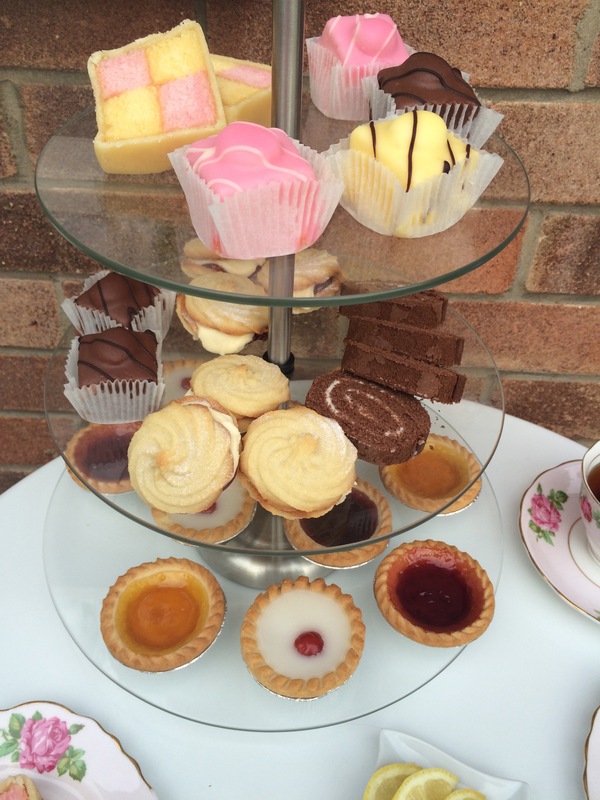 You have tea and cake to focus on! 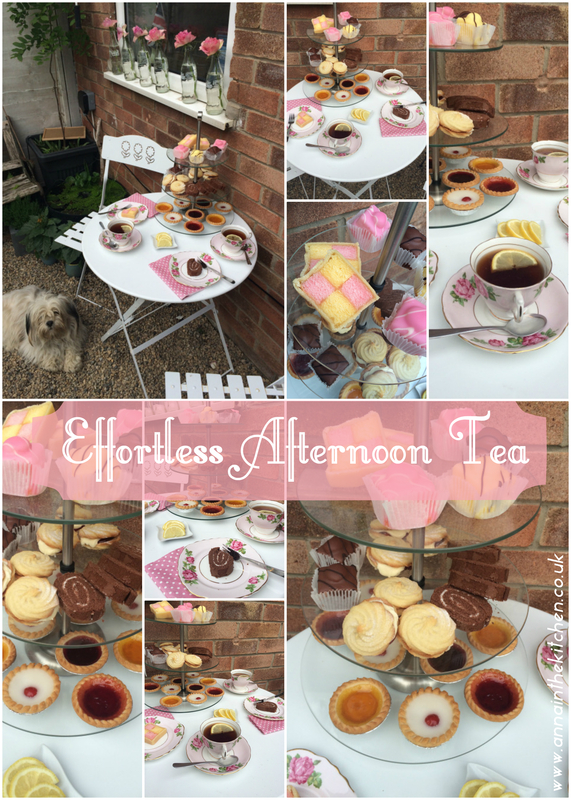 I love preparing for an afternoon tea. 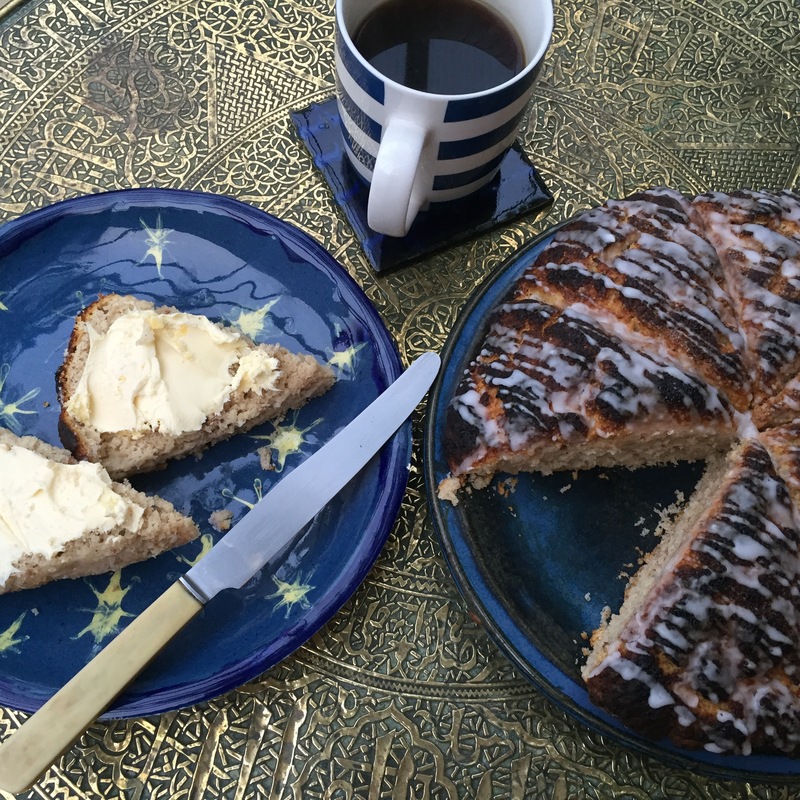 My Fruit Scones are quick and simple to whip up and are always a delight. I can spend hours fussing over making little dainty sandwiches and tartlettes. But what if you have no time? What if your oven has broken? What if you just can’t bake?! Well, my friends, even I have found myself in these circumstances. Sometimes you need the ritual of afternoon tea to step away from your hectic, chaotic world without the chaos of hours of prep in the kitchen. Here is my advice: You Cheat. 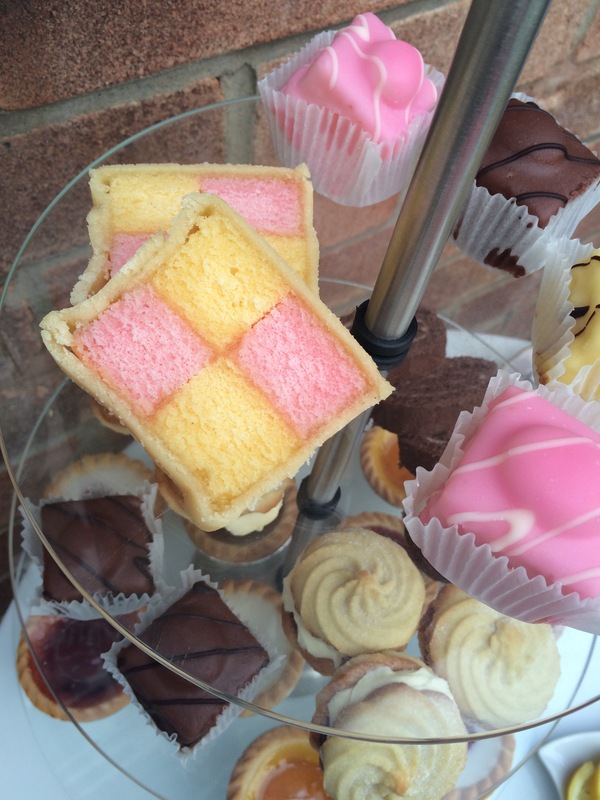 Mr Kipling is your friend. Even if you have a reputation as a superb baker no one will mind if you have cheated. 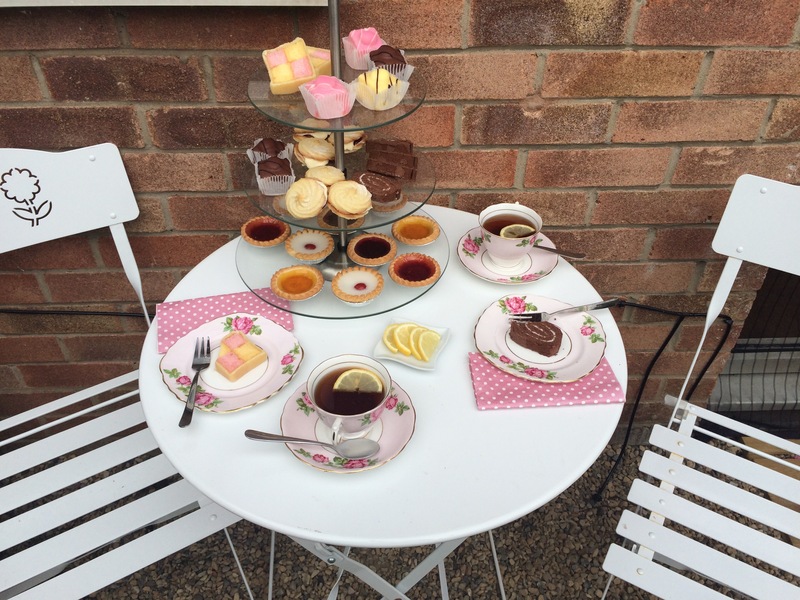 It’s taking the time to sit with friends with a little something sweet and a relaxing cup of tea that is important. 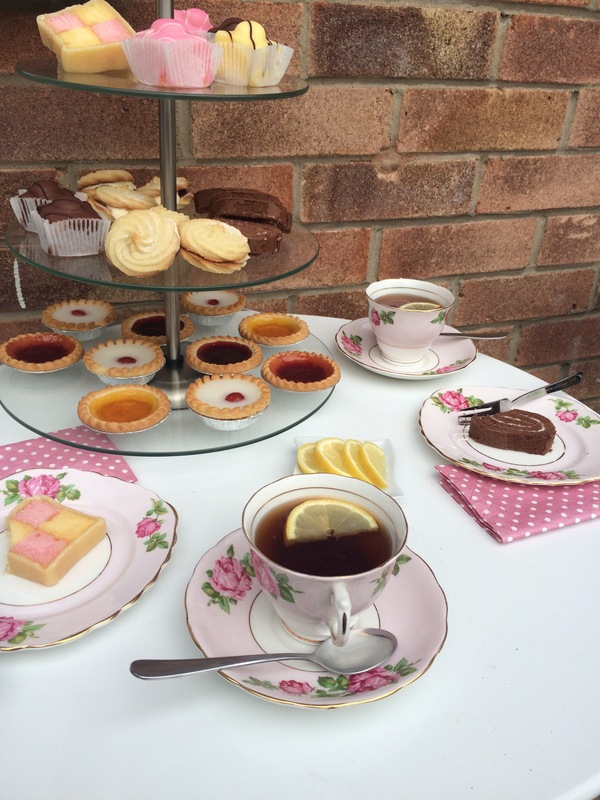 With a nice cake stand and some pretty china (charity shops are a gold mine for this stuff!) take the time instead to lay a pretty table and forget about the stress of baking for a while. Sometimes it is simply the more civilised thing to do! 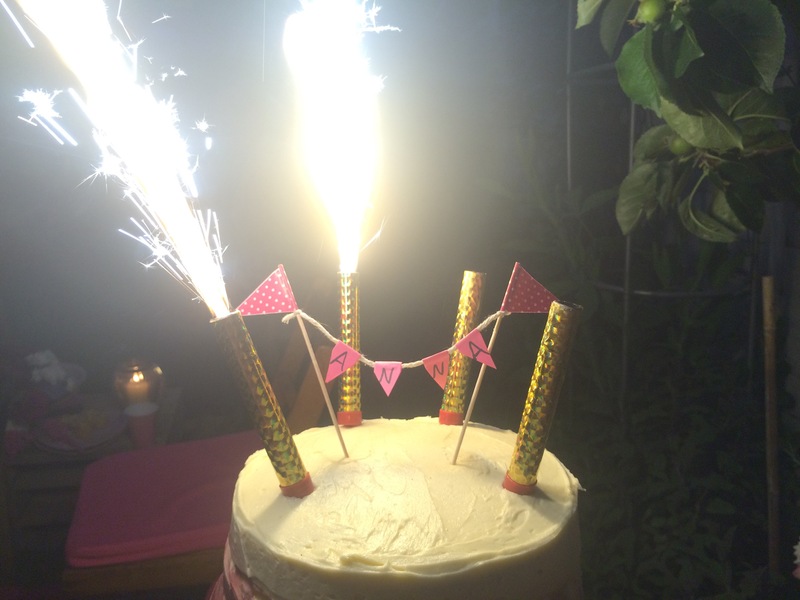 For my Birthday BBQ I made a 3 Layer Pink Ombre Cake and a dozen cupcakes as favours too! I’m really happy with how it turned out! I’ve never tried anything like it before but I was pleased to see how my technique worked out! 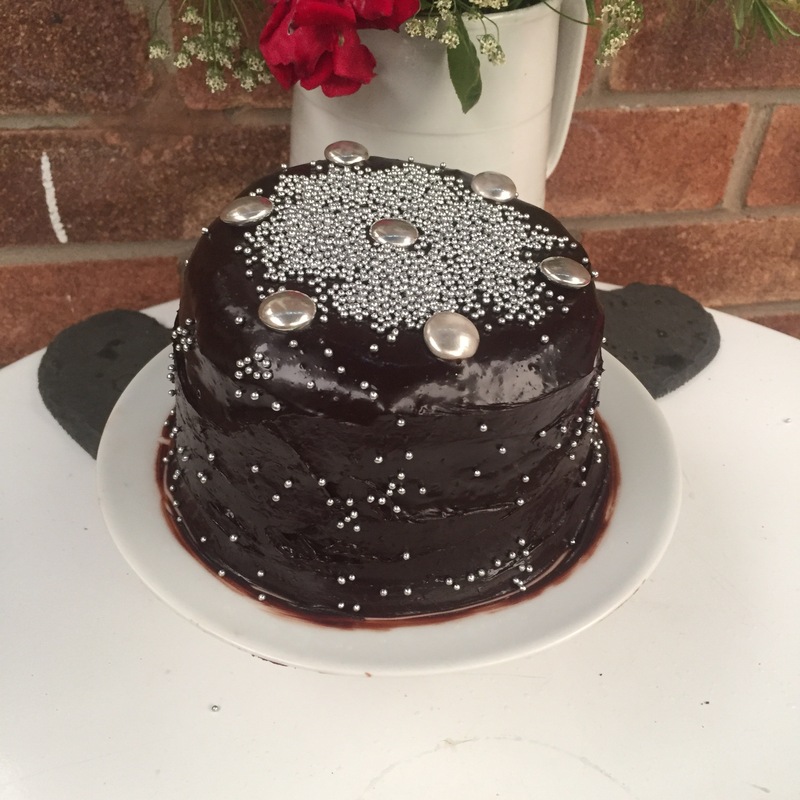 I wanted to minimise waste and washing up so I came up with my own way of creating this cake effect. 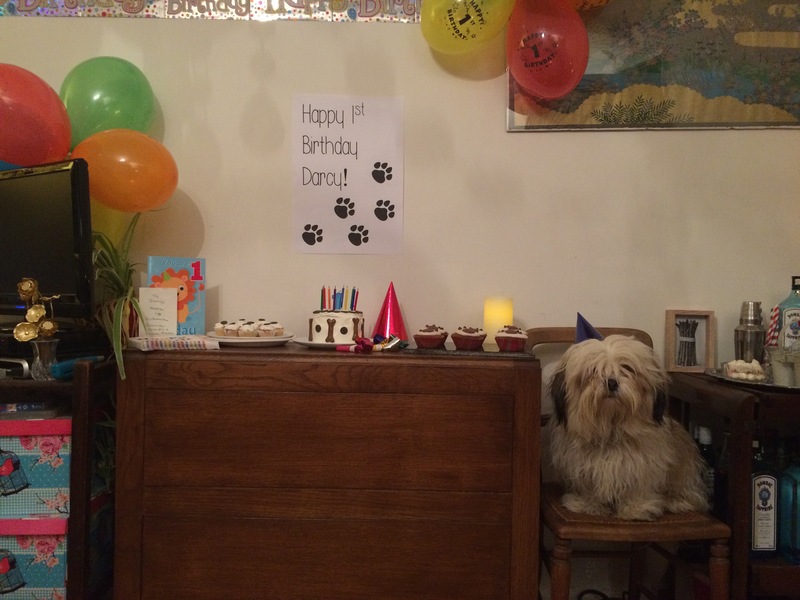 Everyone seemed to enjoy it anyway, there was barely any left by the end of the evening! 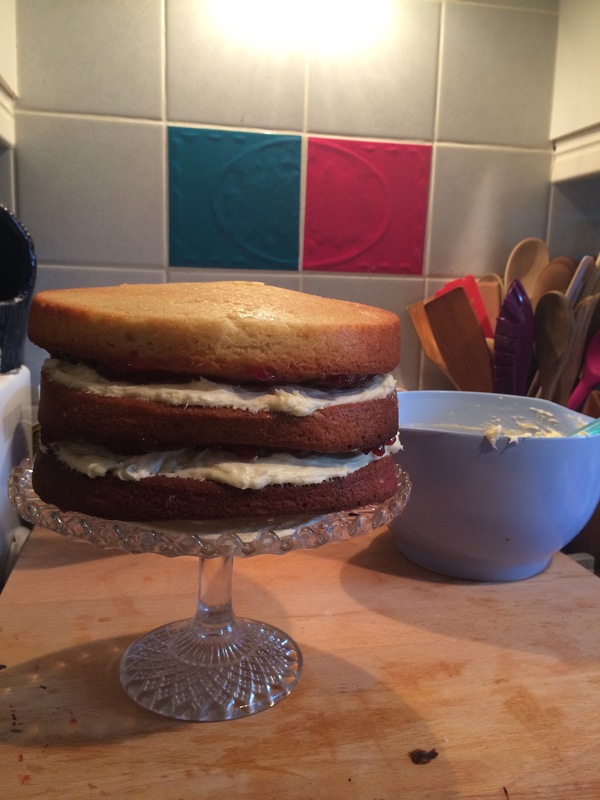 …And about 2kg of buttercream! The colours worked wonderfully! Nice and vibrant! I tried to keep things nice and tidy, having assembled the layers I then piped round to fill in the gaps. Which meant that I had a smooth surface to spread the rest of the icing over. – Heat the oven to gas mark 4. Prepare 3 7″ sandwich tins (I use silicone as they come out flatter and are easier to turn out.) Line 12 muffin holes with paper cases. – Add one egg at a time, mixing well between additions. – Add the vanilla extract and mix well. – Fold in the flour until all combined with the wet ingredients. – Add the 3 tbsp milk and mix well. – Fill each cupcake case to halfway with cake batter. – Put 1/3 of the remaining white batter in the first greased cake tin. 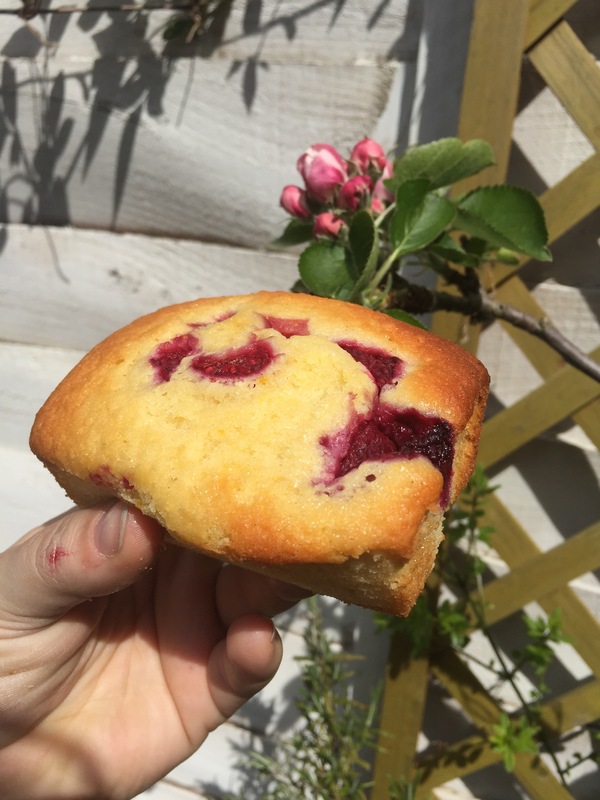 – Add a bit of the pink colouring about the size of a sweetcorn kernel along with a slightly smaller amount of the grape violet and mix thoroughly into the batter to achieve a light pink colour. * If using nicer food colouring then use your judgement on the blend you want. 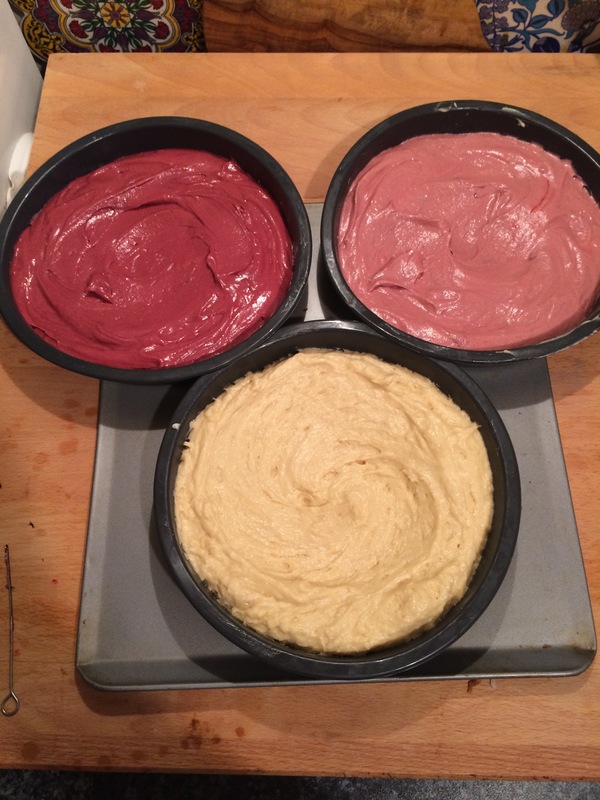 – Put 1/2 this mixture in the second cake tin. – Add more pink colouring and more violet colouring and mix well to get a really deep colour. – Put this remaining cake batter in the final tin. – Put everything in the oven and bake for 25 minutes until golden brown on top and a skewer inserted in the centre comes out clean. 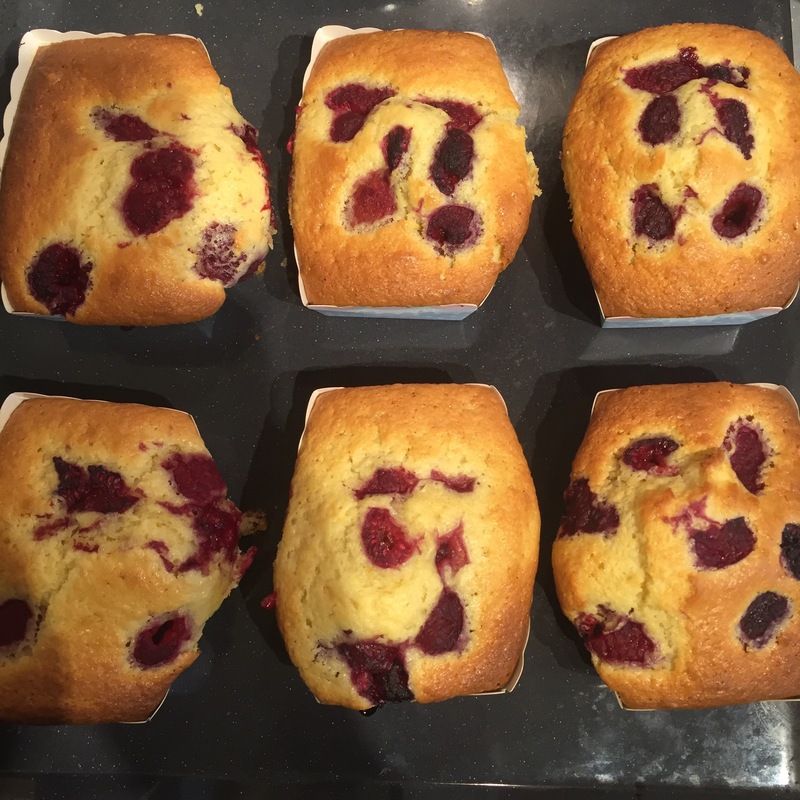 – Turn out your cakes upside down onto cooling racks and take the cupcakes out of the tin to cool. – Put the butter, icing sugar, vanilla and milk in a LARGE mixing bowl and beat until thoroughly combined, light and airy. – Trim any domes from your cake layers to give you flat cakes. – Put a smear of buttercream on the base of the cake stand or plate. – Place the darkest layer flat bottom up on the cake stand or plate. – Spread with an even layer of buttercream. – Spread raspberry jam on the top of the lighter layer. 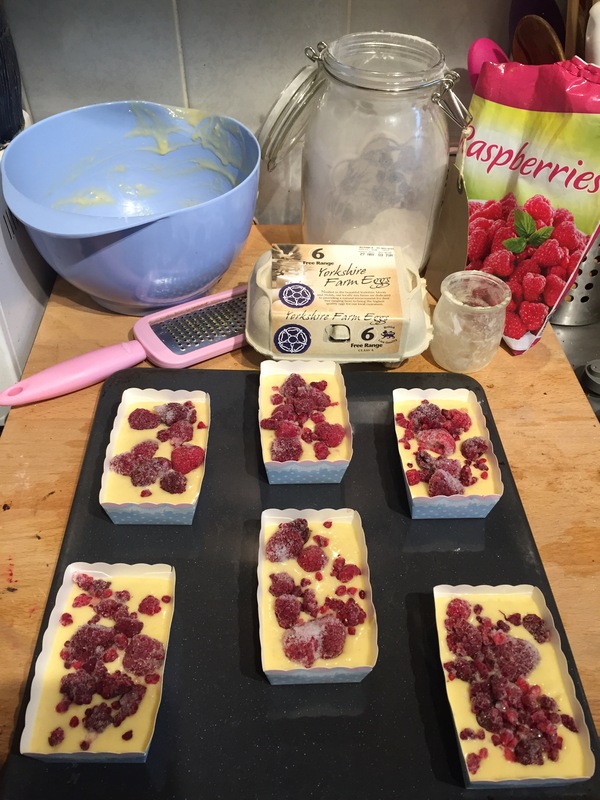 – Place the jam side on top of the buttercream. 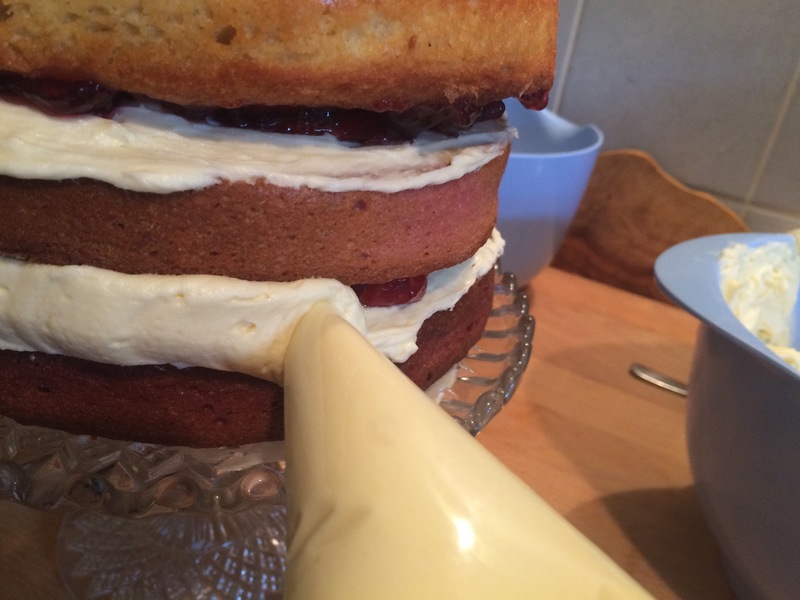 – Spread another layer of buttercream over the flat bottom of the lighter layer. – Spread raspberry jam over the top of the white layer. 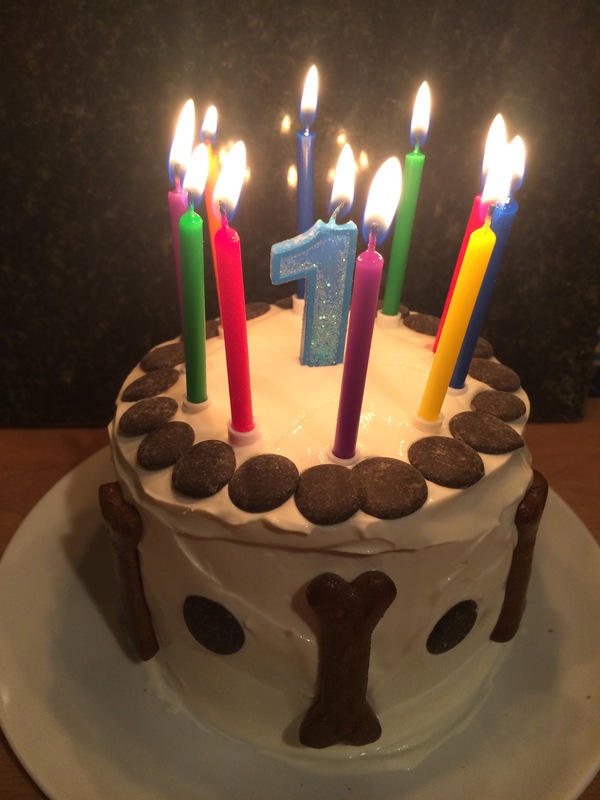 – Fill a piping bag with white buttercream and make a 1/2″ hole to pipe from. 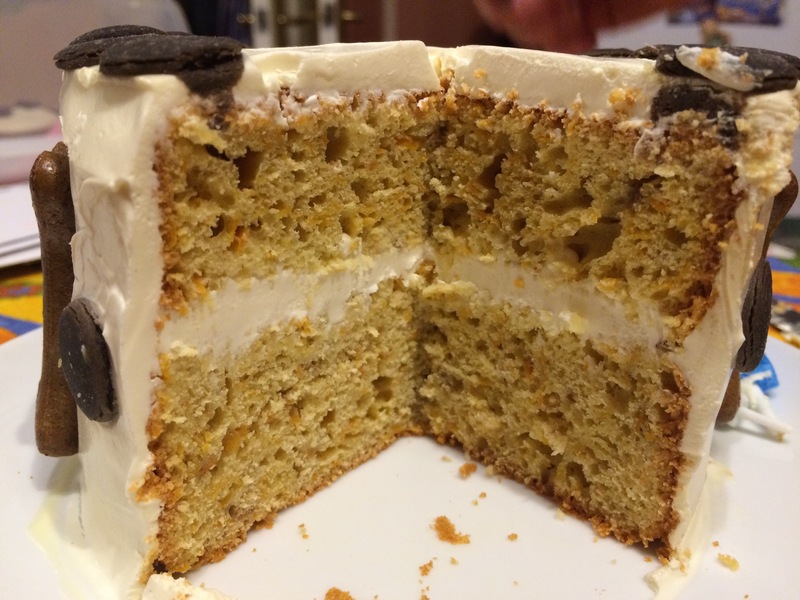 – Pipe around the cake between the layers to fill in any dips or gaps between the cakes layers. 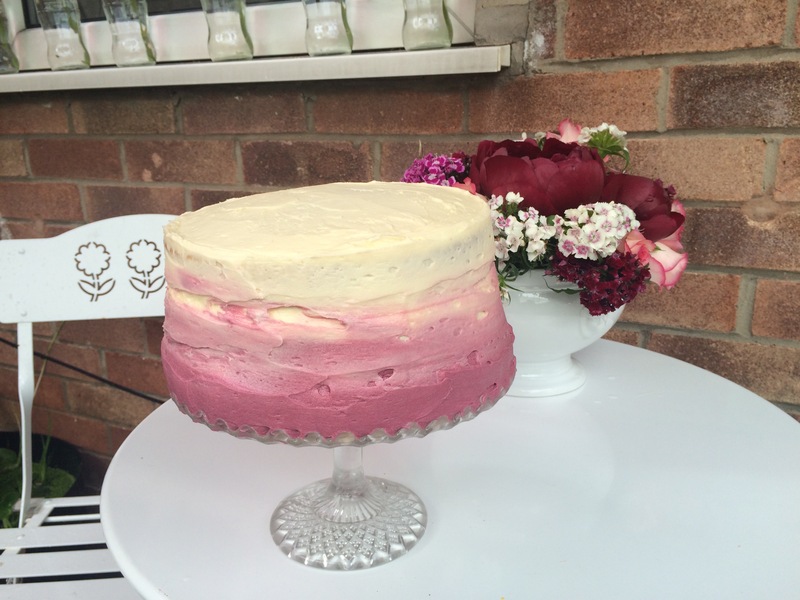 – Smooth round this with a palette knife to make a smooth sided cake. – Spread a good amount of white buttercream over the top of the cake and down over the edges using a palette knife to spread a smooth even layer of white buttercream over the whole cake. 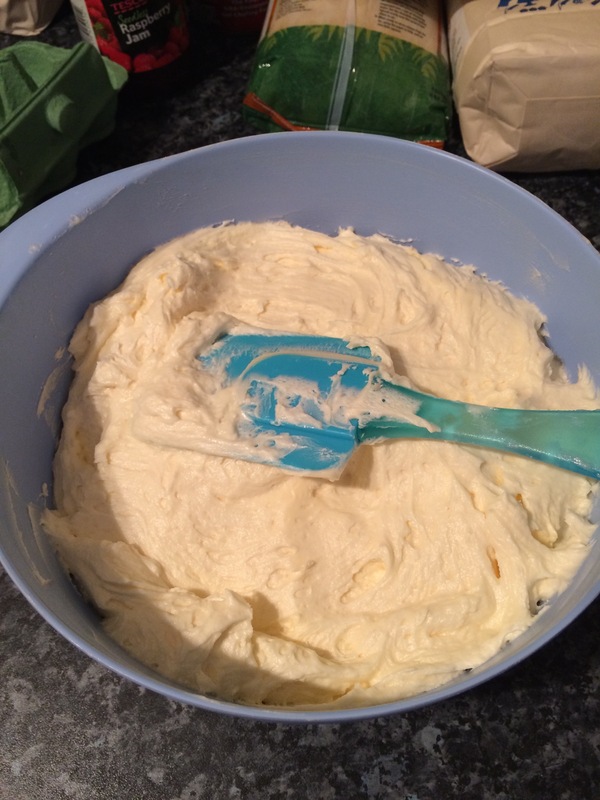 – Now take about a cup of buttercream from the main mixture and put it in a separate bowl. – Add pink and grape violet food colouring to acheive a nice deep raspberry pink colour. – Put it in a piping bag with a 1/2″ hole. 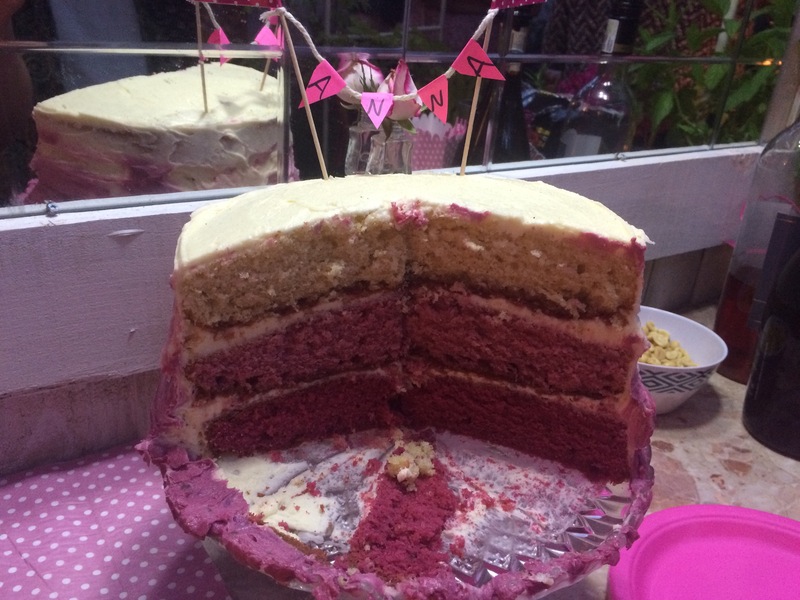 – Pipe a ring of pink buttercream around the base of the cake. 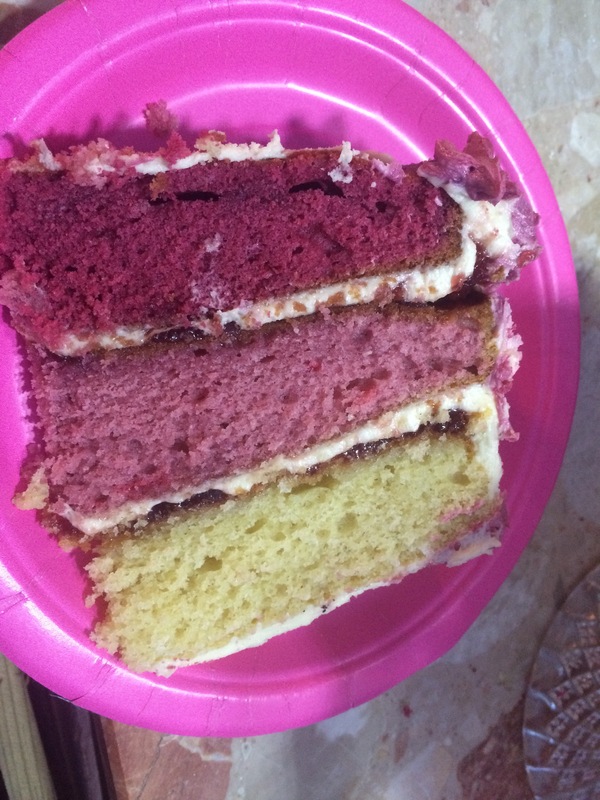 – Now take a pallette knife and spread the pink buttercream up the side of the cake in small swirling circles so the dark pink melds with the white to give that faded ombre effect. Don’t swirl all the way to the top, only go about 2/3 up and leave a nice band of clean white buttercream at the top. – Take some raspberry jam and put it in a squeezy bottle with a cone tip. 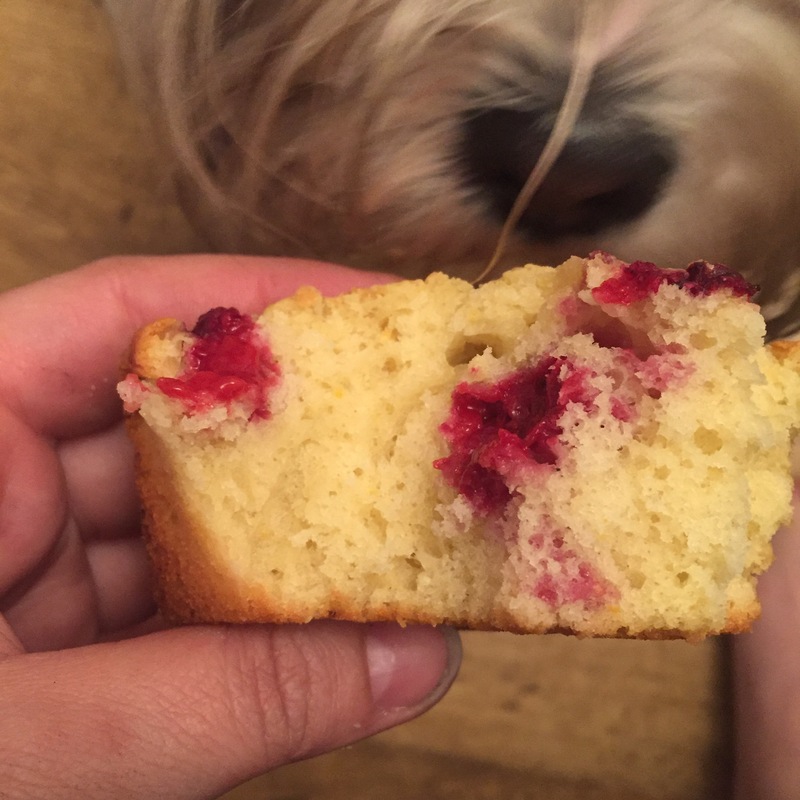 – Inject jam into the centre of each cupcake. – Take the remaining buttercream and put it in a piping bag with a large star tip. 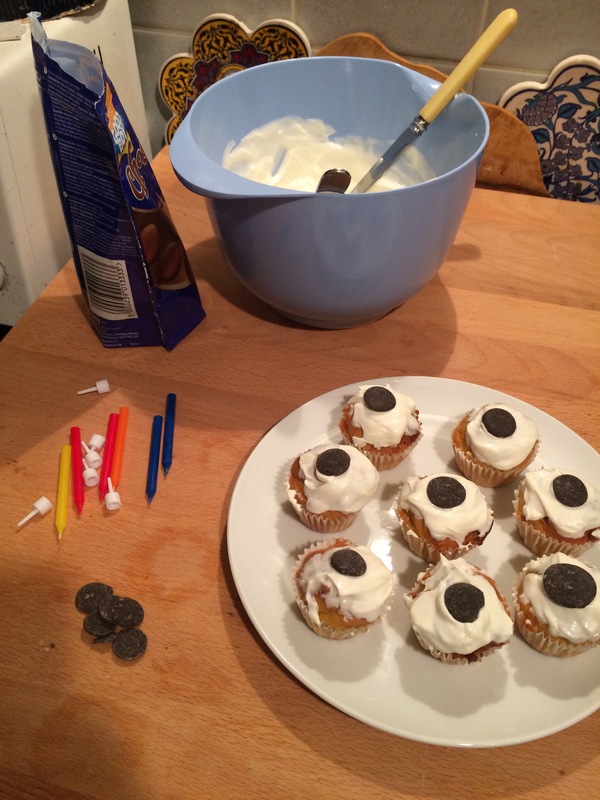 – Ice each cupcake with a swirl of buttercream covering the jam hole in the centre. – Add sprinkles white the buttercream is wet.